Kale Flowers - bees love them! Kale is an excellent source of vitamins for our diets, and the seeds have been labelled a 'super food' for humans. However, before the kale plant can produce seeds, it must produce flowers. Kale flowers are beautiful - and they are loved by bees! Garden bumblebee - Bombus hortorum, foraging on Kale flowers - variety: Nero de Toscana. 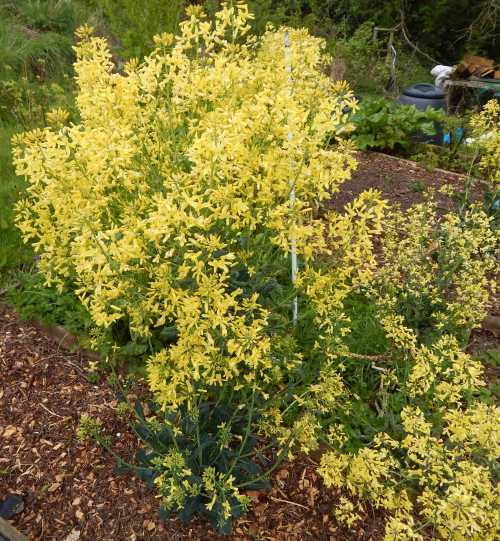 Indeed, Kale produces a mass of pale yellow, fragrant flowers in Spring, the plant itself, when in flower, almost resembling a small bush. 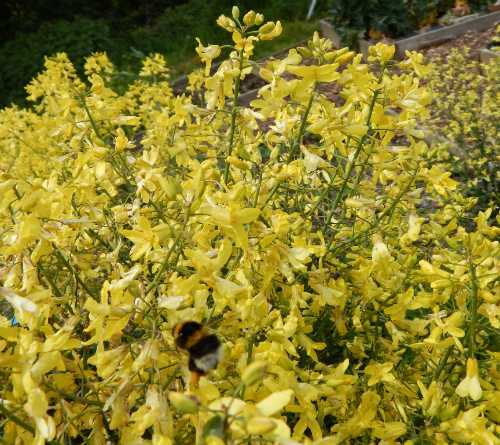 These pretty, yellow kale flowers are a magnet for bees, providing efficient foraging, because there is such a mass of flowers in close proximity, that bees save their energy reserves as little 'flying from kale flower to kale flower' is required. 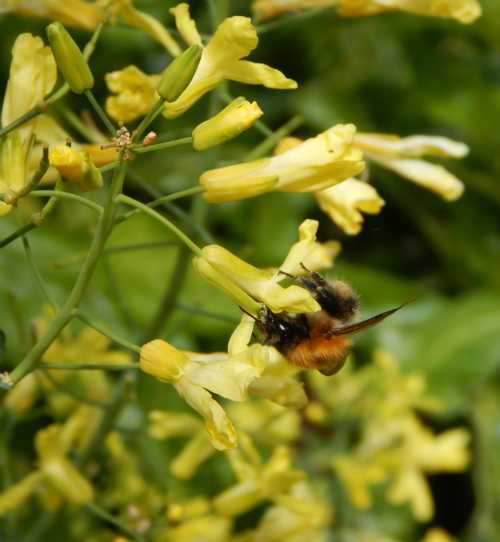 This means kale offers similar foraging efficiency benefits for bees as a nectar or pollen-rich flowering shrub or tree (a mass of flowers in close proximity). Kale is easy to grow. I planted the variety Nero de Toscana in full sunshine. The seeds were sown directly into the ground in Spring - sow the seeds directly into prepared soil around March-April. You can thin out the seedlings later, and transplant them into the space where they are intended to grow. If you are growing kale in the vegetable plot, leave plenty of space - you can always plant the margins with something else, for example, radishes, spring onions, strawberries. 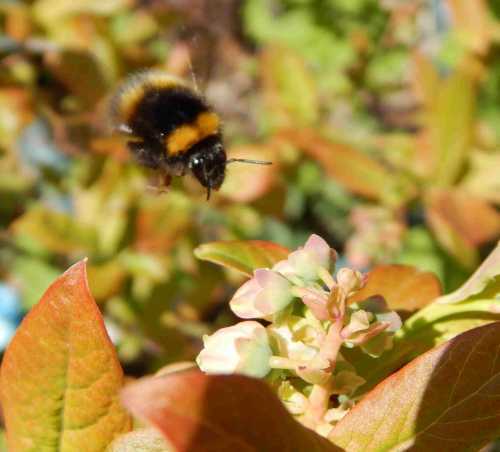 Even better, you can companion plant with kale, by choosing flowers that will detract crop-eating insects, such as nasturtiums (keeps cabbage white butterflies off your kale) or mint (deters flea beetle) - the bees will be grateful too! If you are planning to allow the plant to flower and then go to seed, choose a place at the back of the border, or where it can stand alone as a shrubby plant. Allow for a height: 90cm (36"), and spread: 60cm (24"). You'll be able to harvest the dark green leaves the same year, but then leave the plant over winter (it's winter hardy). The plant will flower the following spring. After flowering, the plant will set seed. You can collect the seeds, and see if you get more plants from the seed next year. You can also eat the seeds! 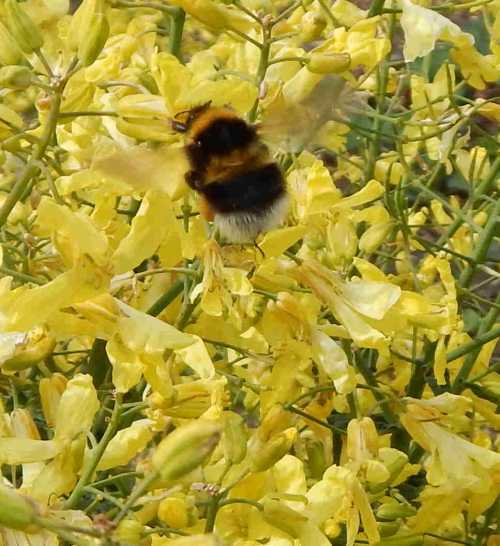 Bees like other brassica flowers too! 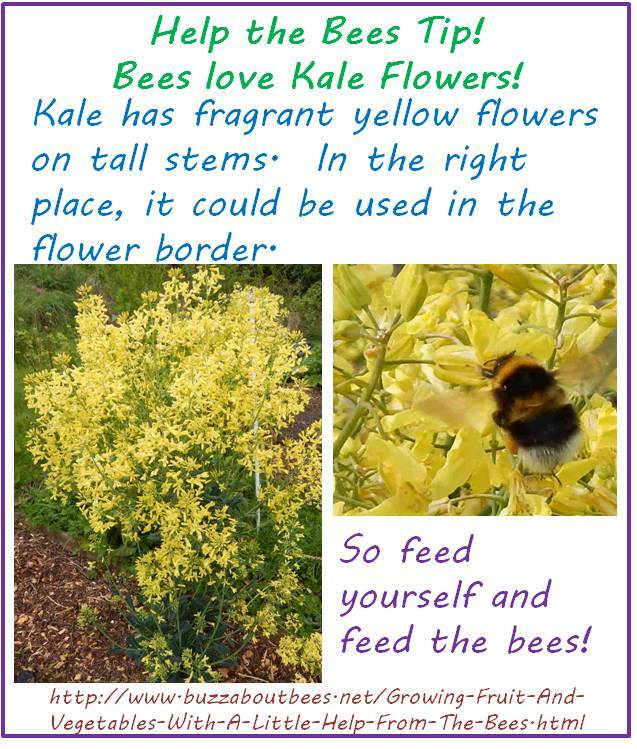 Kale flowers are loved by bees, but so are brocolli flowers and mustard flowers, so as well as your own harves, why not let the bees have their feast too?